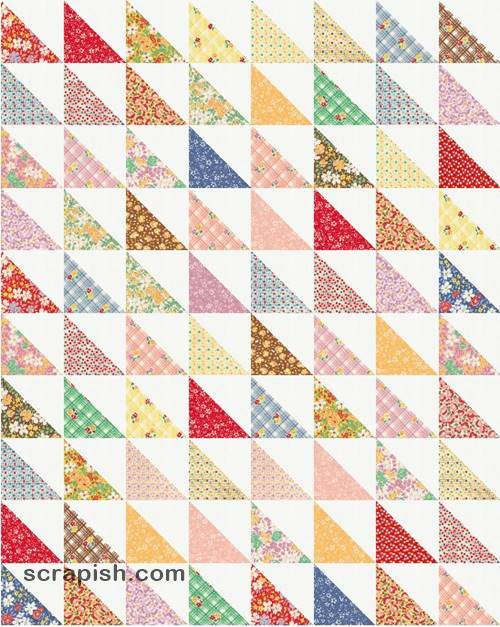 Make this half square triangle quilt pattern using two charm packs for a scrappy baby quilt. Use two layer cakes to make a twin size. Beginners, this is sooo easy to make! quilt block units - squares, three-quarter squares, bars, etc. – in a ton of many different quilt blocks. But, it can be used on its own as a block too. And that's what this pattern does...it uses only half square triangles to make a quilt top. Make it modern by using fabrics with bold geometric shapes such as open circles, Xs scattered on a solid background, polkadots and the like. If you decide to make a larger size quilt use fabrics appropriate four older children or adults. Your fabric choices and imagination our basically unlimited! 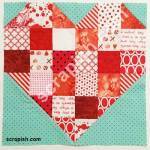 Use either 5 inch or 10 inch charm packs to give you a scrappy quilt in no time at all. Or, search your scrap bin for lots of different prints. Then, choose a neutral background color in the solid, mottled and/or low volume prints. For an even scrappier look use multiple shades or many prints of your chosen background color. Step 1 Make HSTs Using the 2 charm packs (5 inch squares) make 80 half square triangles (HSTs). 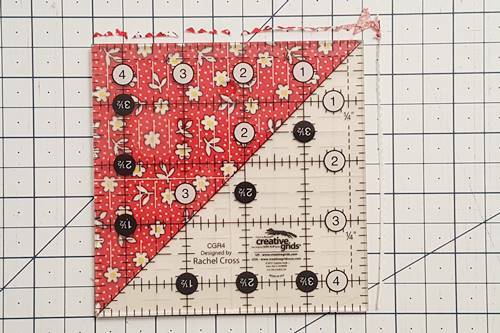 (1A) Place one Fabric A print charm square right side up and place one Fabric B 5 inch charm square right side down on top of it. 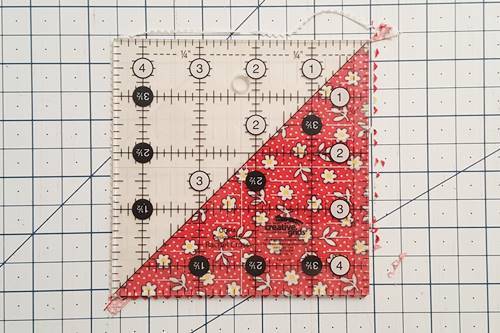 Use a pencil to draw a diagonal line from one corner to corner on the wrong side of the 5 inch Fabric B background color charm square. (1C) Use a rotary cutter to cut the squares apart on the marked diagonal line. 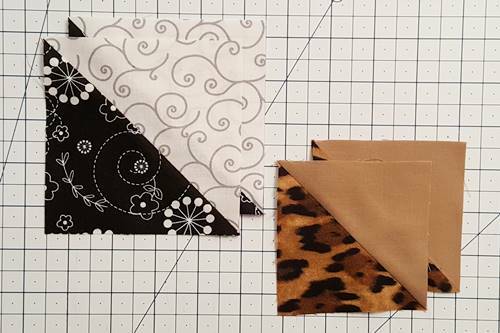 (1D) Open the 2 HSTs to reveal fabrics right side up. Press the seams toward the darker fabric. Step 2A Trim HSTs to 4 1/2 inches (or 3 3/4 inches if you can't quite get 4 1/2). 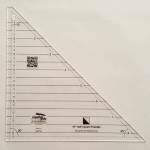 Align the 45 degree diagonal line of a square quilting ruler along the seam of the half square triangle. Make sure that the 4 1/2 inch measurement lines of the ruler are inside the edges of the HST. Using a rotary cutter, trim the excess fabric from the right and top sides. 2B Rotate the HST 180 degrees. Align the 4 1/2 inch measurement lines of the ruler with the bottom and left side of the HST. Trim the excess fabric from the right and top sides. Step 3 Repeat Steps 1 and 2 to make a total of 80 half square triangles. Refer to the half square triangle quilt pattern quilt assembly diagram for the steps below. Step 4 Arrange Blocks Layout 8 half square triangle blocks per row and 10 rows as shown in quilt assembly diagram. Mix the different colors over the entire quilt layout. Step 5 Sew Blocks Together Stitch the blocks of each row together. Press seams of Row 1 to the right and press the seams of each successive row in the opposite direction of the previous row. Step 7 Press the seam between rows downward toward bottom of quilt top. Step 8 Layer the half square triangle quilt pattern quilt sandwich in this order: backing, batting and quilt top. Step 9 Now quilt the three layers using the quilting design of your choice. Step 10 From the 1/2 yard of fabric cut 4 (2 1/2 x WOF) strips, remove selvages and join along their short ends to make a single long binding strip. 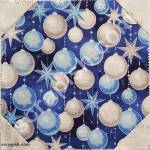 You can make this quilt as retro, modern or funky as you would like by simply choosing different fabrics. See some other fabric choices in the picture below. When I made my half square triangles from a 10 inch charm pack, the largest block that I was able to cut measured 9 1/4 inches. block is repeated side-by-side, and it is the only block used, the odd sized 9 1/4 inch block is no problem for sizing the quilt. 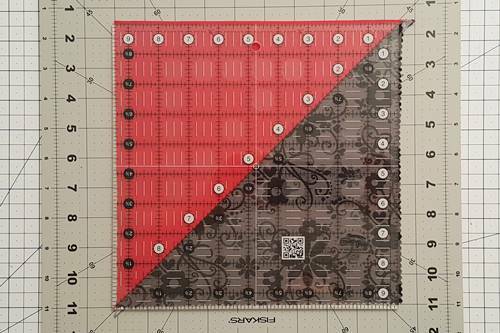 Using 8 (9 1/4 inch unfinished) blocks per row, with 10 rows we get a quilt size of 70 x 87 1/2 inches with a block size of 8 3/4 inch finished. quilt. Follow the pattern is shown above. 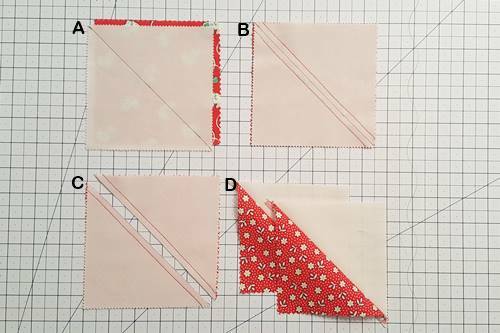 To make HSTS in other sizes, see the half square triangle chart in the half square triangle tutorial. 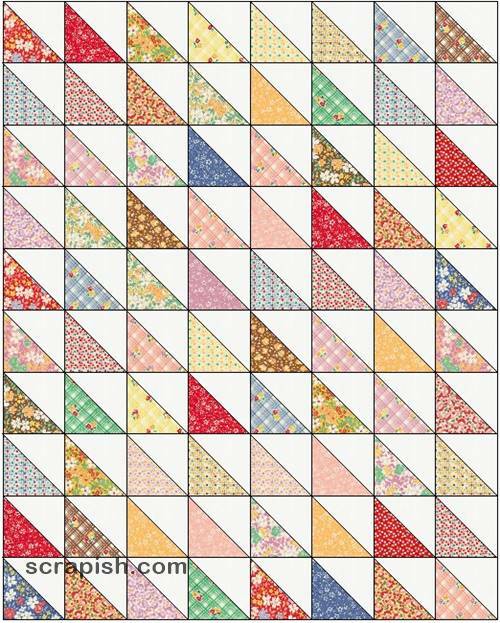 Hopefully you found this easy half square triangle quilt pattern fun and fast to make!